If you watch Game of Thrones, you know the most recent episode included a controversial scene in the sept that has already launched a thousand think pieces. George R.R. Martin, the creator of the series, has some thoughts of his own. Last night on his blog, Martin briefly explained the differences, as he saw them, between the scene he wrote and the HBO adaptation. In the books, Jaime is still missing at the time of Joffrey's untimely death, but he appears in King's Landing shortly after. The sexual tension between him and Cersei is thicker then, because it is fresh. 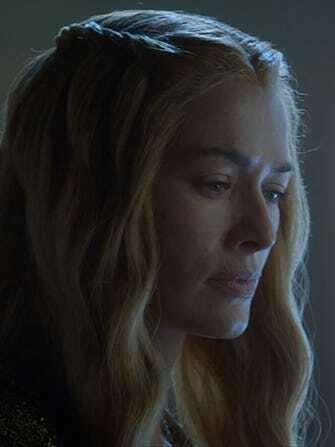 "The whole dynamic is different in the show, where Jaime has been back for weeks at the least, maybe longer, and he and Cersei have been in each other's company on numerous occasions, often quarreling," Martin writes. "The setting is the same, but neither character is in the same place as in the books, which may be why [screenwriters] Dan and David played the sept out differently."